Company to replace counterfeit power supplies for $10 starting August 16th. In recent weeks, there has been controversy involving Apple USB chargers following the death of a Chinese flight attendant. The flight attendant was electrocuted in her bath tub upon answering her charging iPhone 5, and Apple is instituting a trade-in program in an attempt to prevent future occurrences. Beginning on August 16th, Apple will allow customers to trade-in their current iPhone and iPad USB chargers for official Apple adapters. 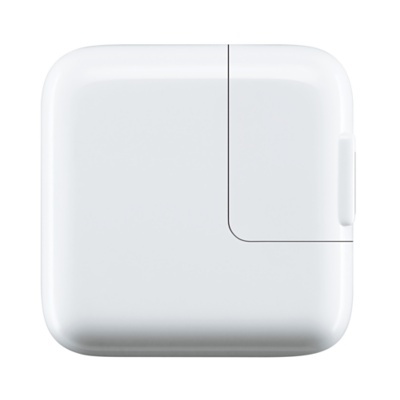 Folks who are interested will have to head over to an Apple store with their current adapter, which will be exchanged for a fee of $10 or its equivalent in local currency. Apple will also require customers to present their iPhone, iPad or iPod in order to validate serial keys and limit numbers to one per device. Both the 5W iPhone charger and the 12W iPad charger retail for $19.00 under normal circumstances, but Apple is offering a discount in an attempt to alleviate concerns about existing power supplies. Unfortunately, the company is unwilling to comment on the authenticity or safety of any adapter that is brought in, citing difficulties in testing each device separately.